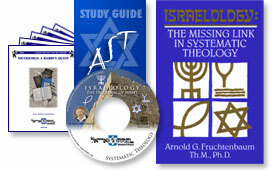 Includes 523-page study guide; 18 manuscripts, the book “ISRAELOLOGY: the Missing Link in Systematic Theology“, and MP3 AUDIO – 18 TRACKS, 18.6 HOURS on a single CD. Order now, and receive 30% off the regular retail price. Discount good until the end of the year.